When my boys actually sit down for a while and quietly read, I am ever so tempted to break out into the Hallelujah chorus. My utter joy is partly because umm.... hello.... peace and quiet and all that, but it's also because I actually get a kick out of watching them enjoy a book too. Whilst two of my boys devour books with as much enthusiasm as they scoff a Nutella sandwich, the other one takes a little more encouragement (read: bribery). Alright, so I don't ALWAYS resort to bribing that one uninterested child to pick up a book... only sometimes. What I did do though was ask some of my fellow mum friends what they do to encourage their kids to read. So, if you are like me and blessed with a very active child that sometimes needs *ahem* a little gentle shove to actually sit down and read a book, here are some tips and tricks to hopefully help you out a little. 1. Help your kids discover the joy of a good story by reading aloud to them. The sooner you start, the better. Even babies love listening to your voice and looking at pictures in a book. 2. Involve your kids in choosing the books. Obviously you can guide them on what is age appropriate, but let them explore books with story lines or topics that actually interest them. 3. Offer kids an incentive to read books. The best incentive revolves around books themselves so maybe for example; if they read three books they earn a visit to the library, and five books they earn themselves a visit to the bookstore to choose a new book. 4. Set aside 'Reading Time'. This is a time when TV and radio and any other electronic distractions are switched off and you all sit down to read. You don't need to necessarily be reading the same book together during this time... they can read anything that tickles their fancy... just as long as they are reading. 5. Find a book that is part of a series. 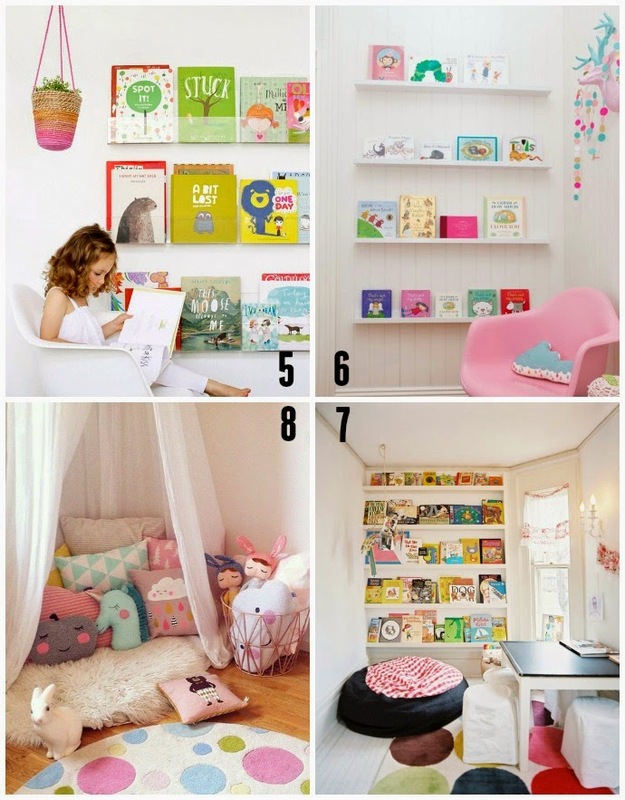 Kids love to collect things and books are no exception. 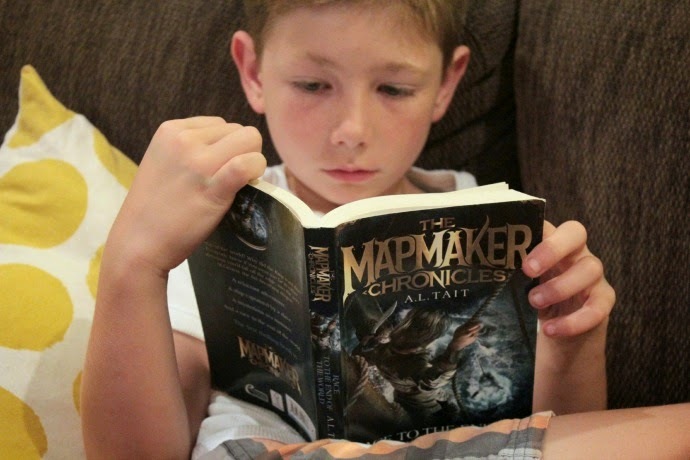 Collecting becomes even better when it is a new story in a series that they already know and love... like for example The Mapmaker Chronicles by the fabulous Al Tait. "The King is determined to discover what lies beyond the known world, and has promised a handsome prize to the ship's captain who can bring him a map of the whole globe. To do that, they'll need mapmakers - and 14-year-old Quinn is shocked to be one of the chosen. My Sam devoured this book and is now hassling me wanting to know when the next book in the series will be coming out. 6. Finally - think about creating an inspiring reading nook somewhere in your home. 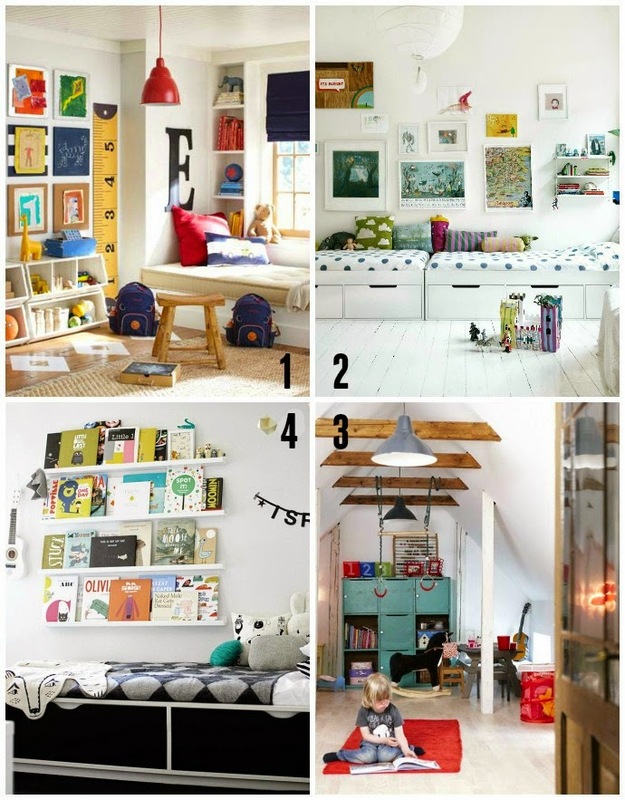 As best as you can, make it a place that is inviting and cosy for our little people. If you need some inspiration - look no further as here are some gorgeous reading places and spaces I found on Pinterest. Book one of the Mapmaker Chronicles by Al Tait is available on Amazon or via a number of different online stores. Check out where you can buy Book 1 here. Do you have a family full of voracious readers or do you need to encourage yours a little too?